There are 8 days left to enter! This April, National Home Improvement Month is encouraging the nation to make one change to their home. 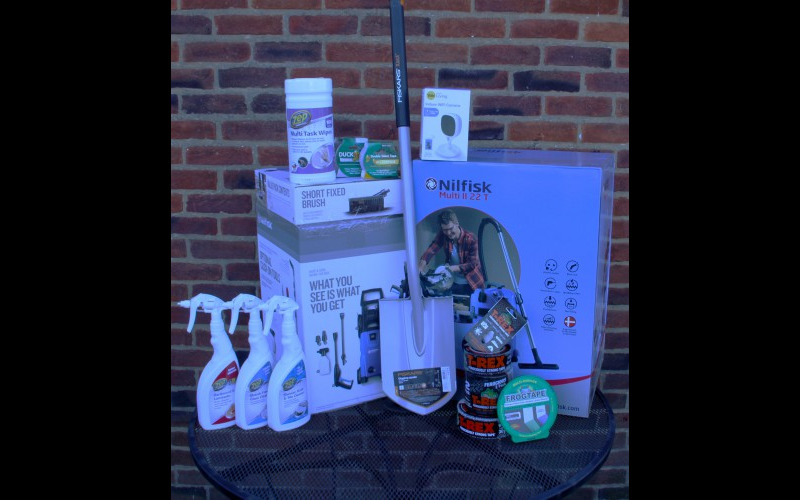 To help you #MakeOneChange be in with the chance of winning a bundle of DIY goodies including a Nilfisk Wet & Dry Vacuum, Nilfisk Pressure Washer, Zep Indoor Cleaning Bundle, a selection of FrogTape, Duck Tape and T-Rex Tape, Yale Indoor W-Fi Camera and a Fiskars Spade. For more information and tips from the National Home Improvement Month Ambassadors Julia Kendell and Georgina Burnett visit the National Home Improvement Month website.